Remodeling your kitchen can add value to your home and give you an attractive, more convenient place to prepare meals. Unfortunately, a lot of homeowners don’t know how to start the remodeling process. These four sources will help you find the inspiration you need to transform your kitchen. 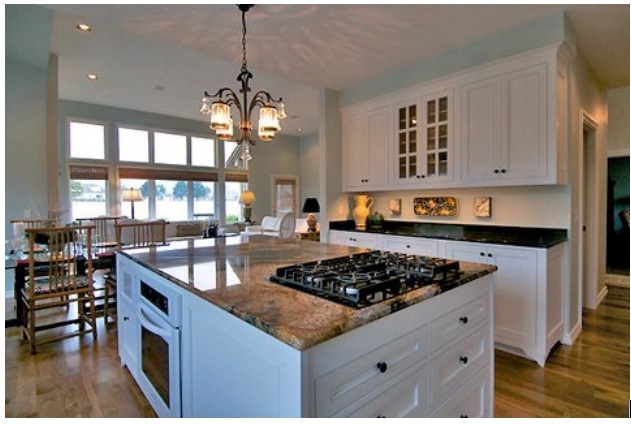 Houzz.com has over one million kitchen design photos that can inspire you to create your own concepts. The site also has an advice forum where readers can share information with each other and get tips from professionals. The Houzz mobile app is a great way to get ideas when you’re house hunting or browsing items for sale at your local home improvement store. You can even use the app to find architects, interior designs, and contractors near you. Just because you don’t have the time or skills to do the remodeling on your own doesn’t mean you have to live with an old, drab kitchen. Home Bunch is a blog run by an interior designer who also writes for other websites, including Houzz. The blog features a large section on interior design ideas for every room in the house. Home Bunch tends to focus on luxury design ideas. Several of the blog’s posts feature celebrity homes. They’re absolutely amazing, but you may not have a budget large enough to buy many of the items. That’s fine as long as you use the site just for inspiration. You can often find more affordable versions of the furniture and appliances instead of paying hefty prices for designer items. LG’s Studio Collection series focuses on appliances that combine aesthetics and functionality. Nate Berkus, arguably one of today’s most popular interior designers thanks to his television shows and appearances on Oprah, serves as LG Studio’s artistic advisor. Keeping that in mind, it’s not surprising that LG has managed to make such beautiful kitchen appliances. If you love cooking at home then LG Studio is a good place to find inspiration for your kitchen remodeling project. Your appliances are the most important parts of your kitchen. By choosing items from LG Studio, you can base your remodeling plans on beautiful, high-performance kitchen appliances. Once you know what appliances you want in your kitchen, you can work your way back to decide what furniture, colors, and decorations you want to add. At first glance, House Beautiful might seem like Houzz. It has a lot of pictures of brilliant interior designs that can help you develop kitchen remodeling ideas. A closer look, however, shows that House Beautiful offers more than just inspiring pictures. The great thing about House Beautiful is that the site has articles that will help you plan all aspects of your remodeling project. You can learn to avoid mistakes that a lot of homeowners make when updating their kitchens. You can also learn how to see your kitchen’s hidden potential so you don’t spend more money and time than necessary. This blog is inspirational, but it’s also useful. That makes it a great resource for any homeowner, designer, or decorator. If you’re thinking about remodeling your kitchen, it’s always smart to visit these sites first to find inspirational ideas. This entry was posted in Uncategorized and tagged kitchen, remodeling.